Bangladesh’s capital was ranked lowest in the Air Quality Index (AQI) on Wednesday. Dhaka had a score of 179 at 10:50 am, showing that the air quality was dangerous. A numerical value between 151 and 200 shows that everyone may experience health effects. Members of sensitive groups may experience more serious health effects. They classify air quality between 201 and 300 as ‘very unhealthy’. If the score is between 301 and 500, then it is classified as ‘hazardous’. Dhaka, one of the most densely populated cities in the world, has been grappling with air pollution for a long time. 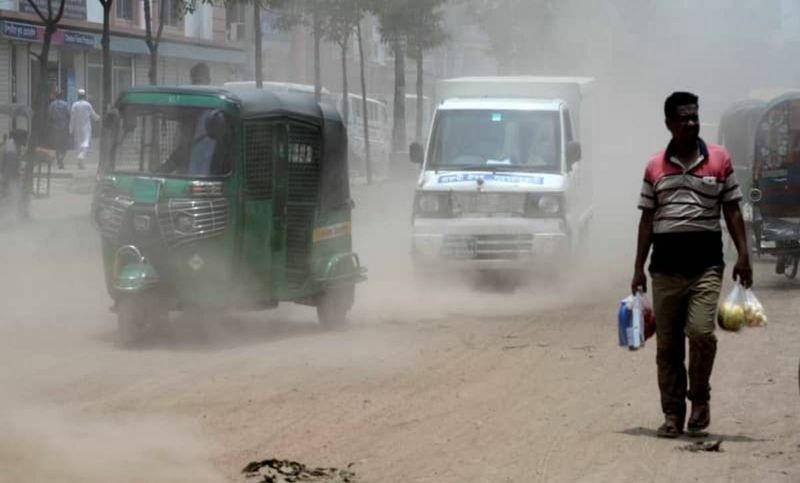 The air quality worsens during summer and shows signs of improvement in the monsoon when the dust settles.